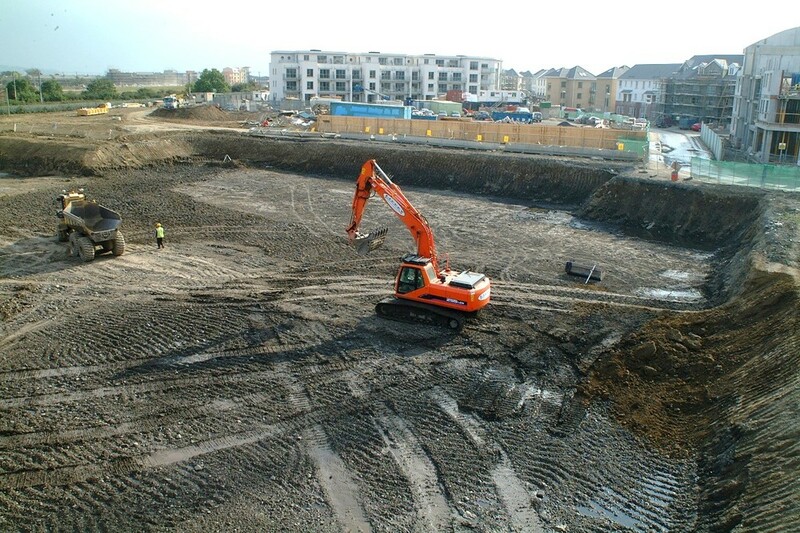 Bulk excavation works for new town centre at Clongriffin to cater for underground carpark for Residential / Commercial Units and the new Clongriffen DART Station. Disposal of approx. 30% of excavated material in low lying areas of site. Balance of excavated material disposed off site to licenced facility. Design and implementation of dewatering system to accommodate surface water discharge from the area.